This last weekend was my Aunts birthday and we had a mexican themed diner for her. I made these Creamed Corn Tamales. I found the recipe in an old Food Network Magazine, November 2011 from Chef Santos Loo. 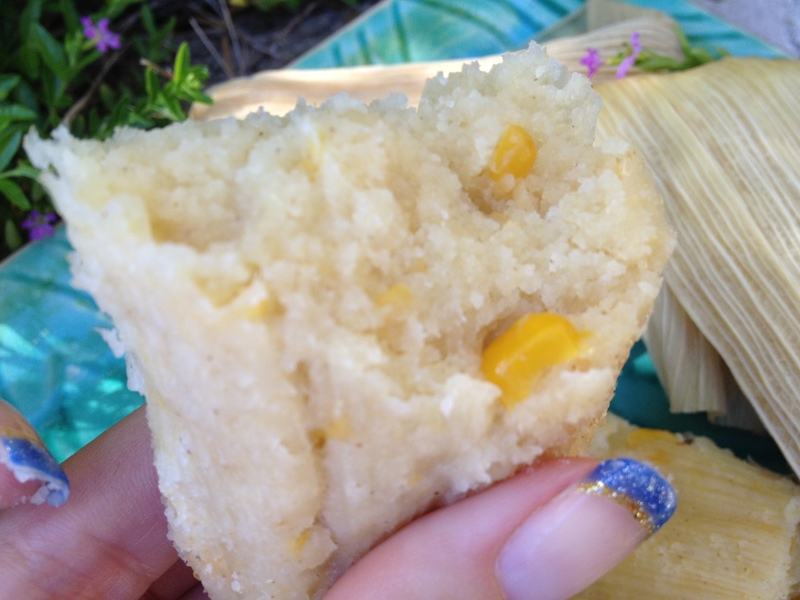 We really liked these tamales even though my family has renamed them, sweet corn cakes. I guess that is what they tasted like to us. I was also thinking that these would be good with some green chillies and some Monterey jack cheese. 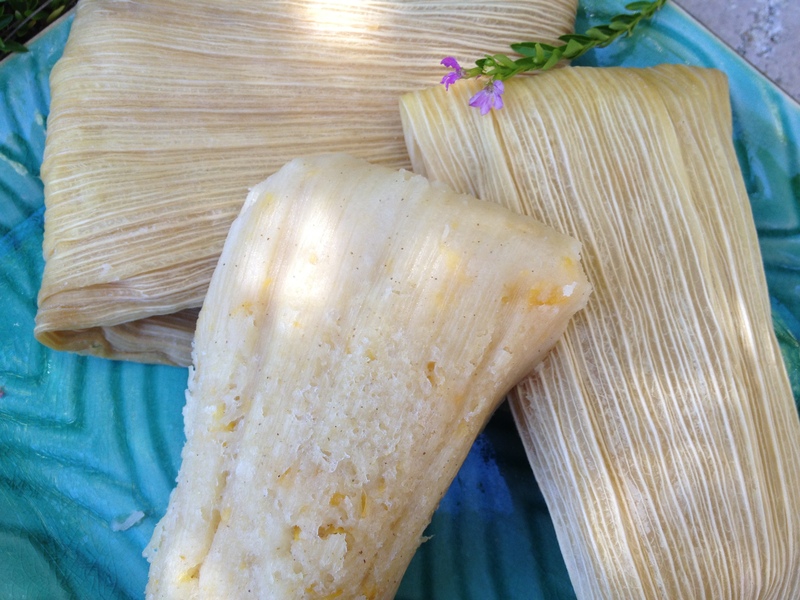 They are not like a traditional meat tamales, they are more simple and have a slight sweetness. The kids loved them and we will be making them again. Soak the corn husks in a bowl of hot water until pliable, about 15 minutes. Meanwhile, make the dough: Combine the masa harina and sugar in a large bowl. Stir in the corn and 1/2 cup hot water until combined. Add the butter and mix with your hands until evenly distributed. Remove the corn husks from the water and shake dry. Unfold the husks on a clean surface (discard any small husks or husks with holes). Put about 1/4 cup dough down the center of a husk; fold in the long sides to enclose the filling, then fold in the top and bottom to make a packet. Secure with kitchen twine. Repeat with the remaining dough and husks. Set up a steamer basket in a large pot filled with 2 inches of water. Arrange the tamales standing up in the steamer and bring the water to a boil over high heat. Reduce the heat to medium, cover and cook until the tamales are firm, about 1 hour. Remove from the steamer and let rest 10 minutes before unwrapping.